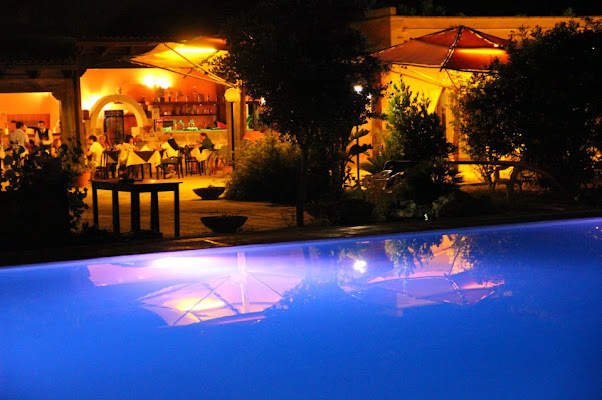 The Villa Conca Marco Restaurant, family - run, use simple, wholesome ingredients grown on the farm, sea food from the Region, served with pure Farm olive oil and sprinkled with our lively imagination. 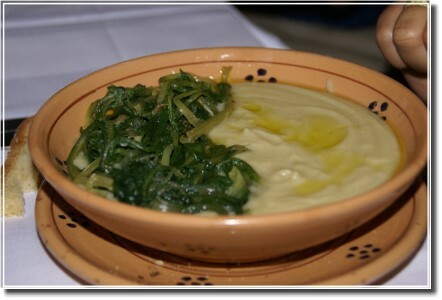 We serve mixed vegetables, especially those that grow wild locally, wheat bread, fresh home-made pasta . All of our dishes are carefully prepared, using aromatic herbs and fresh vegetables grown on the Farm. We also pick wild chicories, “spunzali” fresh sweet onions, “pampasciuni” wild sour onions and wall rocket from uncultivated lands. 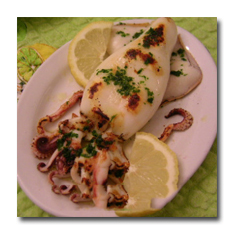 Our Gastronomy mainly consists of abundant local produce, and follows the Mediterranean style. In addition to our typical cuisine we offer delicious dishes from the other Italian Regions which makes for a more lively and savory menu. Our cuisine is a concert of sensation which enhances the perfect combination between country and seaside. A tradition that comes from the two souls of our Region: one is the country side and the other is our sea. Our menu changes according to the seasons and to our customers requirements. Therefore the following menu is just a selection of the recipes that we usually offer through the year. “pittule” (fried leavened flour batters ), rich potato croquettes, sliced eggplant on the grill, sweet-and-sour peppers, mussels au gratin, small mozzarellas, flat bread potatoes, typical flat breads, special pizzas, Lecce zucchini parmigiana, meatballs, artichokes in oil, boneless sardines fried with eggs, dried tomatoes and so on…..
(we serve more often than not, fresh fish and when it is not available, we offer deep-frozen fish). We serve Sheep's milk cheese and Goat’s milk cheese made locally, Italian cheese. stuffed artichokes, sliced peppers cooked in oil, tomatoes and onions, fried flowers zucchini, broad bean earthenware pot, roasted mushrooms, garden salad with wild rocket, baked potatoes, French fries, baked onions, sweet-and sour onions, stuffed zucchini, etc etc. Almond past Lamb (Lecce Style marzipan), cream flambè, “Della nonna” cake, Coffee-flavoured cake, Lecce Style Quince Jam, Jam Tarts, “Porceddruzzi” (Salento peciality), Fruit cake, “zeppole” (Salento Speciality), etc, etc. Cut the aubergines into slices and put them in a colander with a little bit of salt. Let them sit for an hour: the aubergines will lose their bitter flavour. Dry the slices of aubergines on kitchen paper and fry them in a generous amount of olive oil. Separately cook a rich tomato sauce. Boil the pasta cavatelli, when it’s cooked, put the pasta in a colander to get rid of excess water, then put in the pan with the tomatoes sauce and the grated ricotta cheese for a few seconds. Put the pasta in serving dishes and place some slices of fried aubergine on top. Sauté 2 garlic cloves in gr.50 of olive oil. 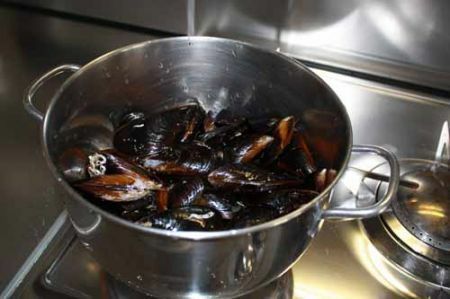 Add 2 kg of washed mussels and some peeled tomatoes. Cook for a few minutes, sprinkle minced parsley and a pinch of ground pepper. Fai appassire in una pentola di coccio la cipolla a fette nell’olio. Aggiungi i carciofi, le fave, il sale ed una punta di peperoncino. Fa cuocere a fuoco lento. Brown the sliced onions in an earthenware crock. Add the artichokes, the broad beans, some salt and a small pinch of paprika. Cook on a slow heat. Sauté a mixture of finely chopped garlic, onion, celeriac, parsley vegetables in olive oil. Add to the sauté 4 langoustines, ½ kg of carpet shell, ½ kg of mussels, ½ kg of squid, 1 scorpion fish and allow to cook on a low heat. Let some of the white wine evaporate. Half way through the cooking take the scorpion out the pan, clean it and replace it in the pot just the lean. Add ½ kg of peeled tomatoes, another sprig of parsley and cooking for about 20 miunutes. Toss the Cavatelli in the tomatoes sauce and serve firm. Some olive oil, paprika, white wine, parsley, selery. Place all the ingredients in the “pignata”(an earthenware pot). Cooke on slow heat for about two hours keeping cover the pot. By necessity, add a bit of water and white wine. If you like, this course can come with “muersi”: thin barbecued slices bread.